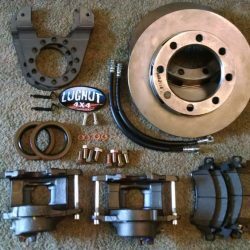 Good, quick, and cheap at www.lugnut4x4.com is what you can expect! Never expect to something to be good quality, quick service, cheap price. I have always heard pick any two. To me when people say you can’t do something that is a challenge and I will do everything I can to prove them wrong. At Lugnut4x4 we do all three. Of the three good quality, quick service, cheap price – good quality should always be first. Little details are important. I have my brackets laser cut. There are many options on cutting steel, but laser cut gives the most professional finish. I include new bolts with most of my brake kits. Really there is no reason why you can’t reuse the stock bolts on most applications, but I buy so many that I get them at a very low price. Why not include some new bolts in case the old ones are rusty? For most of my kits I include new seals. If you are going to take the hub off why not put a new seal in while you are there? Maybe it wasn’t leaking before, but if you take it apart and put it back together it might start leaking. I buy seals 100 at a time, so I get a great price on them too. 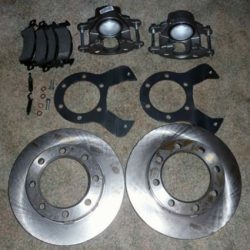 To many people when they decide to buy a brake kit it is because they need brakes. That’s a tough one to figure out isn’t it? Lol! Well I ship most brake kits the same day or next day and I ship priority mail so you get it quick. 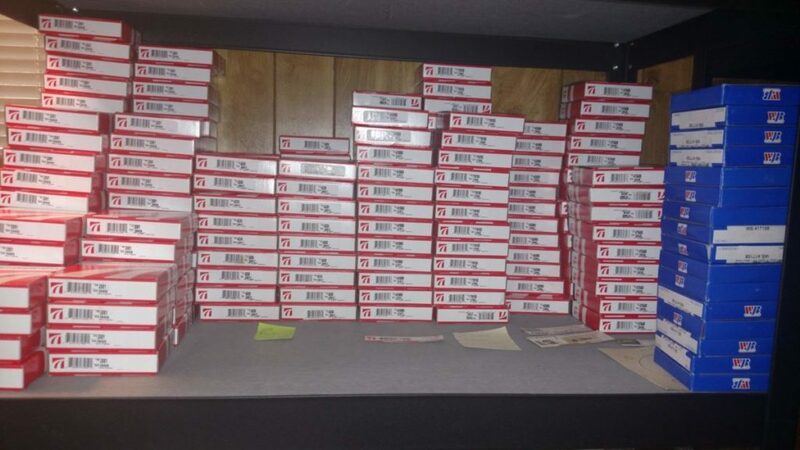 I have a warehouse that I use to keep 100’s of rotors and other parts in stock. I get parts from the warehouse as needed and ship from my home so I can get last minute orders out quickly. Then I ship my orders Priority mail so most people get them in 2-3 days. 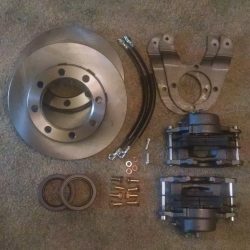 I had a guy in NC order a brake kit on Saturday and it was delivered on Monday. Now that’s quick! I try to be the cheapest seller out there. While there may be an occasion where a competitor may be cheaper on an item or two I will always try to be cheapest on most items. I do this by constantly seeking new suppliers and renegotiating with existing suppliers. One of the big factors is that most of my competitors are higher on the purchase price and then they charge shipping on top of that also. My price includes shipping which is often a savings of over $50. Good quality, quick service, cheap price, and support are what we are about. Below is a picture of the seals we keep ready to ship. It doesn’t look like much, but there are several rows and we don’t have problems running out of seals.